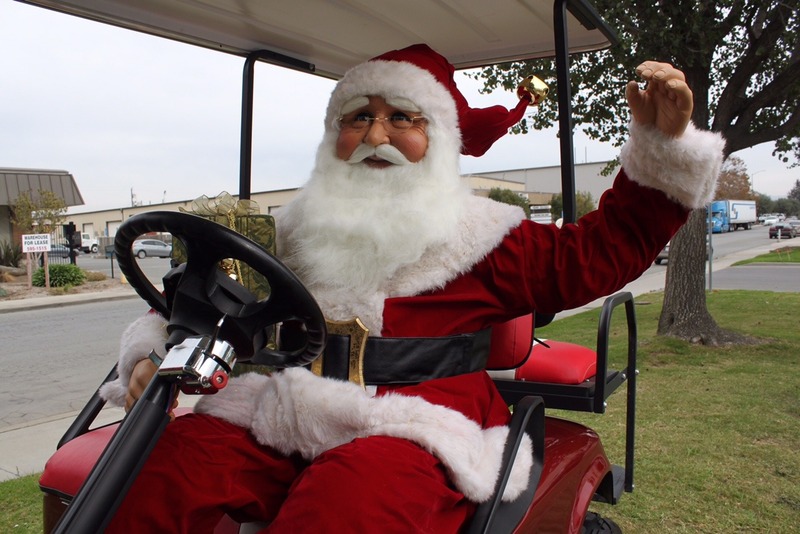 This is an amazing way to make a entrance with our Christmas Santa Golf Cart rental. 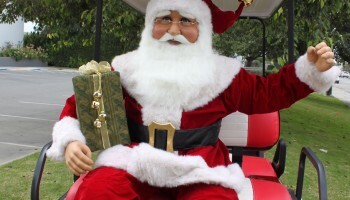 We provide the Christmas Santa Golf Cart and the amazing posable Santa Claus. If your town has a Christmas or holiday parade this would be a great way to show off your company spirit by renting this. We can provide holiday lights to make it look special. 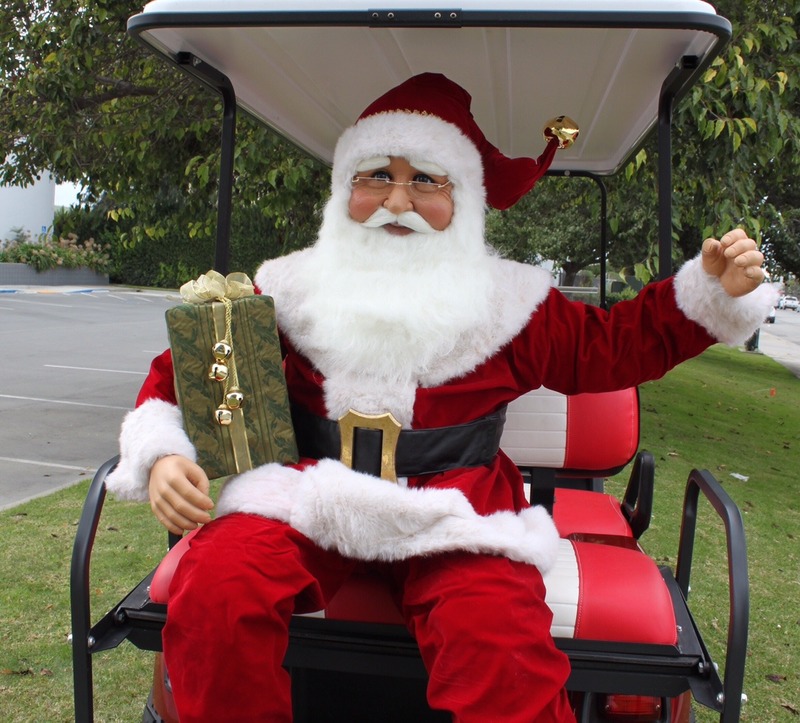 The Christmas Santa Golf Cart can be rented without posable Santa Claus and you can have a real santa arrive as a grand entrance. 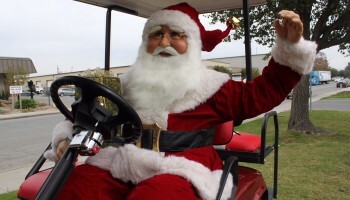 The Christmas Santa Golf Cart will last about 2-3 hours on a full charge. It also has 4 seat in case you want to have guests or elves sit in the back throwing out candy or waiving to the crowd. 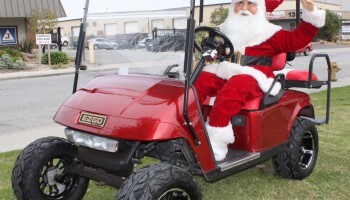 We rent our Christmas Santa Golf Cart to the entire San Francisco, Bay Area, San Jose, and Monterey Bay. 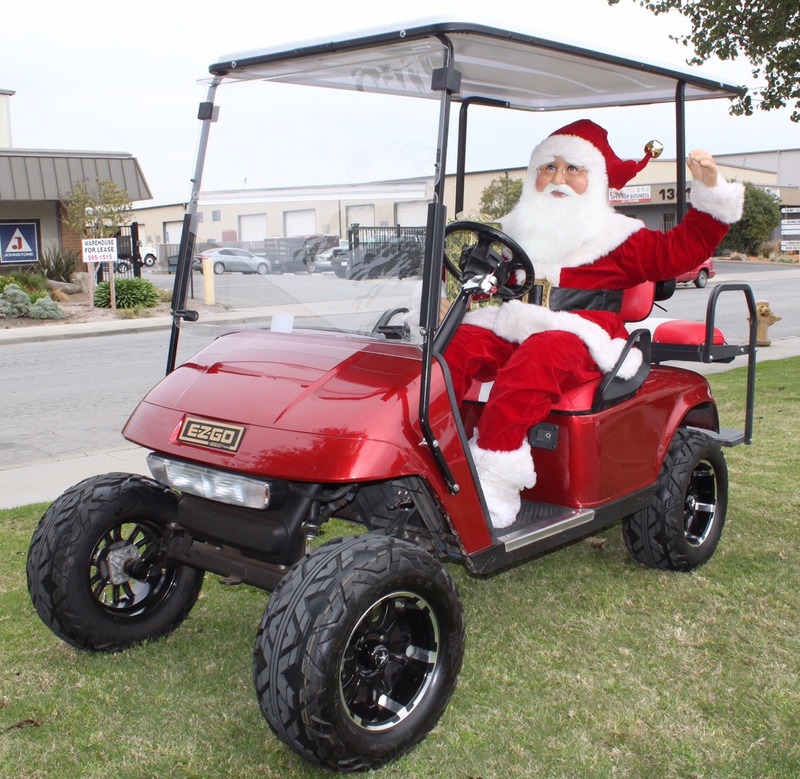 Please call for availabilty and pricing on this amazing Christmas Santa Golf Cart.